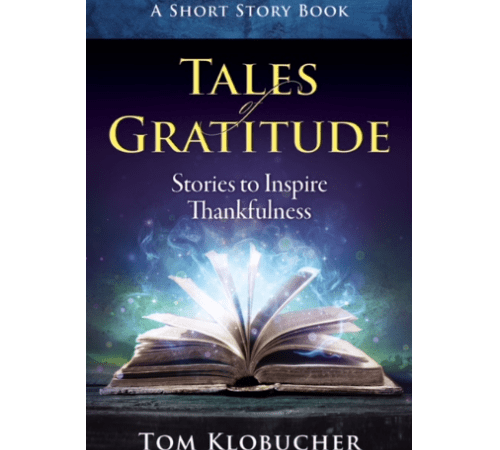 Tales of Gratitude, is a collection of positive short stories with happy endings that will inspire thankfulness in the young—and the young at heart. Tom’s stories are a touching and optimistic. They take on the American Dream! Each of his heroes confronts towering obstacles and overwhelming odds with little more than the support of their families, their sheer determination, and their ever-grateful spirits. There are life-and-death struggles splashed across these pages, and yet, the tales are warm, engaging, and thoughtful. As with any good story, there are compelling characters here, and they face more than their share of twists and turns. An impressionable teenage boy surrounds himself with a rowdy bunch of misbehaving friends. A newly arrived immigrant, unable to find work, is down to his last few cents. A fatherless high school dropout is pressed into the labor market by the dire circumstances he and his mother face. These tales are a compelling testimony to the value of hard work, but they are much more. The ups and downs ultimately follow the contours of the relationships that the central characters forge at the pivotal moments of their lives. As Tom has said elsewhere, relationships are transformational—and gratitude changes everything! Join Tom on a journey across the continents and through the decades, discovering the treasure of a life well-lived. You’ll be grateful you did!